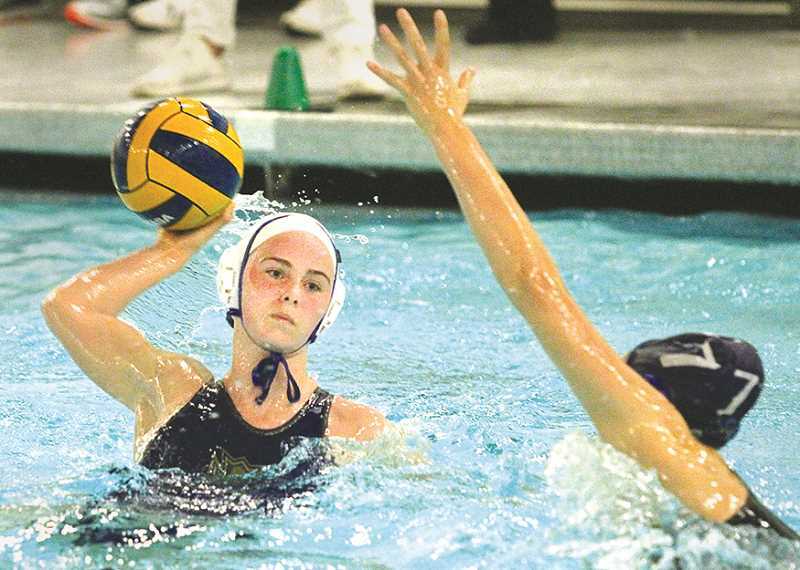 Tournaments are often the only times the Newberg girls water polo team is really tested, so the Tigers often look forward to events like the West Metro Tournament, held over the weekend in Beaverton. Coach Cari Blanchard's squad was pushed by both Reynolds and Barlow, but was up to the challenge, defeating the Raiders twice to finish 5-0 and win the team title. Newberg opened up with a 12-0 win over Southridge Friday, getting goals from nine different players, including three by Hailey Day. The Tigers jumped out to a 6-0 lead over Reynolds in game two Saturday morning, but the Raiders slowly clawed their way back within shouting distance at 11-7 by the end of the third quarter. Newberg held on for a 12-10 win thanks in part to Mackenzie Russel and Nikki Rubottom, who scored three goals apiece. The Tigers certainly got their money's worth in a matchup versus Barlow. After leading 8-6 at halftime, Newberg fell behind 11-9 entering the fourth quarter. Blanchard's team dug deep in the fourth, scoring four goals to pull out a 13-12 win. That prompted a rematch versus Reynolds, which played the Tigers tight throughout Sunday's game. Newberg led 6-5 at halftime and 9-7 entering the fourth before holding on for an 11-9 victory. The offense revolved heavily around Day, Russell and Stella Byles, as the trio accounted for all but one of the Tigers' goals. Russell led the way with four goals and three assists, with Day and Byles notching three assists apiece. Newberg will host Tualatin Wednesday before making its annual trek south to play in Modesto, Calif.
St. Paul 70, Waldport 12 – The Bucks scored 49 points in the first quarter alone and didn't give up a score until the fourth quarter in Saturday's road win. Six different Bucks players rushed for a touchdown, but had just 19 total carries and attempted four passes as a team. St. Paul (6-0, 5-0 Special District 1-North) will face Siletz Valley (3-1) at home Friday. Bowmen Raceway Invitational – C.S. Lewis Academy freshman Nicholas Hurst placed 59th in 18:39.3, which would have been a personal-best by 1:40, but the course was listed at 4,970 meters instead of the traditional 5K. Ally Trowbridge was 52nd in 22:05.3 and Jennessa Hoekema was 59th (25:49.6) for the Watchmen girls. Newberg 1, Sherwood 1 – Jesus Lopez drew a penalty kick, which was converted by Christian Morales for the Tigers' lone goal on the road Oct. 4. McMinnville 5, Newberg 3 –The Tigers (2-7-2, 0-2-1 Pacific Conference) got goals from Isaac Williamson, Geronimo Lopez and Carter Bass, but was never able to pull level with the Grizzlies in a road loss Monday night. Damascus Christian 4, C.S. Lewis Academy 1 – Senior Micah Grobey scored for the Watchmen in the home loss Oct. 4. CSLA will celebrate Senior Day at Thursday's home contest versus Columbia Christian. Forest Grove 2, Newberg 0 -- The visiting Vikings played with 10 for the majority of the match in Newberg Oct. 2 after their goalkeeper was given a red card in the opening 10 minutes. Forest Grove still managed to control possession throughout and took the lead on a first-half penalty kick by midfielder Sophie Davis.